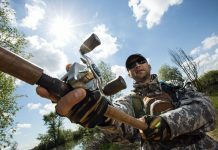 2019 Buying Guide of the Best Fishing Kayak - Outdoor Gear World! 0.1 How to Choose a Kayak? Before going into details, it is worth noting that kayak fishing is easier and much safer than many can imagine. With the current technologies, kayaks have been designed with comfort and stability reigning supreme. 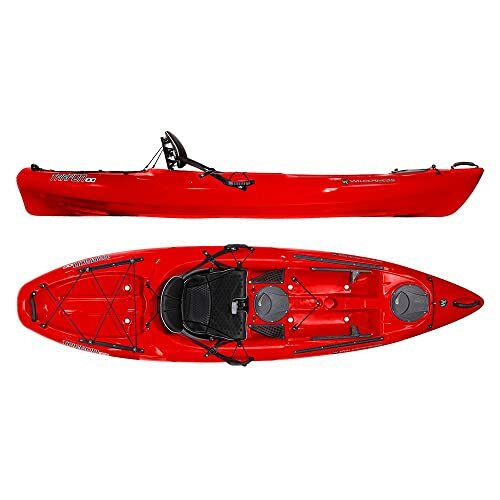 In addition, features such as anchor systems, rod holders, tackle hatches and even live wells, there are increased chances that anyone will get a kayak that will suit and fit their needs and interests. It is great news to know that most kayaks have been designed for a variety of use. It is, however, important to realize that not one kayak will be a jack of all trades. This calls for the need for a potential buyer to start by knowing exactly what they want to use the kayak for before they can venture out to look for a piece. For easier understanding, choosing a kayak is similar to choosing a car or even boat. There are so many things in the lists of specifications but it is in the “must-haves” that you want to spend more time in. Below are some of the features to look for. There are two main types of kayaks namely; the Sit-on-top Kayaks (SOK) and the Sit-inside kayaks (SIK). 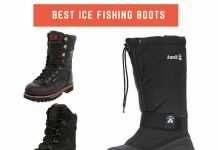 The majority of fishermen prefer the self-bailing SOKs as they are inherently safer. Their safety is due to the fact that they can roll over without being filled with water. 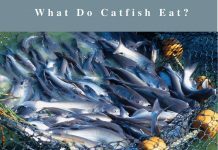 They also allow the angler a more spacious room of moving or even putting legs inches apart for better stability as they deal with a catch. 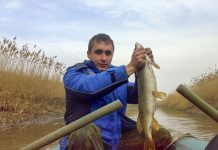 On the other side, SIKs are mostly preferred when fishing is done in moving waters. It is also the most desirable option in situations where lighter kayaks are needed. For comfort, the SIKs provide drier rides than their best sit on top kayak counterparts. Length - Length and speed are directly proportional when it comes to kayaks. This means that the longer kayaks cover more distances within shorter times. The downside is that longer kayaks pose great maneuverability concerns in tight places. 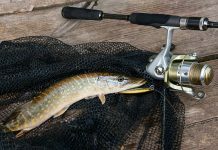 If you are therefore looking to get a kayak that will take you to launch sites, the best fishing kayak will be those shorter options as opposed to their longer brothers. Width - For stability reasons, the best fishing kayaks are the wider ones. In addition to stability, these wider kayaks are capable of holding a higher capacity. Although width is an important stability player, there are other factors too, that greatly affect the stability of a kayak. The Mass/Weight - You want to consider the capacity of your cat before you buy a kayak. Remember that you will be moving this fishing accessory down to your launch site. If the kayak is too heavy, transporting it may require a wheeled cart, which is a hassle you don’t want to be engaged in. Propulsion - The main methods of kayak propulsion include the use of pedals, paddle power option as well as electric motor power among others. The majority of the kayaks on the market are paddle power propelled, with the pedal propulsion system also being an option within the Hobie Kayak Mirage Drive platform. The reason behind the popularity of these leg-powered kayaks is they don’t engage the hands of the anglers thus leaving them free for fishing. Today, the electric powered kayaks are growing in popularity and soon, they will be able to take a better share of the kayak platform. 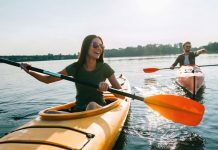 Seat - The seat models and types will greatly affect the price of the kayak, with less expensive kayaks featuring some basic removable seat padding or even having molded-in seats. The best fishing kayak, though, come with adjustable “lawn chair” seat types, having excellent back support systems. Such are becoming more a more popular and I would rather you follow suit by acquiring one of such. 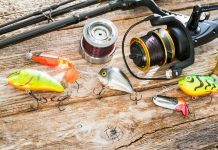 Storage & Extras -The much storage you will need as you go about your fishing expeditions must be considered. Do you need some space to keep fish? Or do you need that space for the change of clothing? Are you planning to do some sort of kayak-camping? 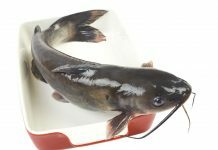 Or do you need some space to store live bait for some time? All these have to be considered before choosing a kayak. Fishing Room and Space - You need extra-wide space fir stability as you fish while standing. During kayaking, you will obviously be standing for most of the time. This produces better results whether in the shallow or deep areas. With limited space, your stability will highly be jeopardized, with falling being almost imminent. 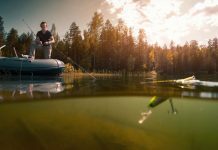 Before setting out to choose the best fishing kayak under 1000, there are a number of things you must put in to consideration. First of all, to avoid disappointments, you need to learn about the sport as this will enable you to be very honest with your goals. 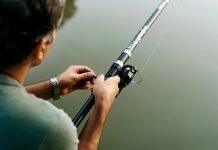 When you now get out choosing the best kayak for fishing, consider the speed of the product with respect to the stability, length with respect to width and other factors. There is yet another important step that many people always overlook but consulting an expert will help you in making some of the best informed decisions. All in all, the final decision will always lie with the jury. You are the jury. This is yet another kayak that gives the users a good first impression and ends up producing results in the waters. 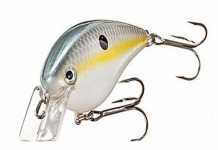 Tarpon produces quality fishing kayaks as can be seen on this product. It has been designed for user comfort and with user-friendly features. The combination of great dimensions, body weight, capacity, storage and performance on the waters produces a very good construction to performance ratio on the market. And what is this Tarpon 100 kayak? All these features are meant to produce a super comfortable, stable and performance-oriented fishing kayak. The product comes mounted with a day hatch amidships. This is necessary and comes handy at that time when you really need to keep some small items dry but close to your hands. On either side of the day hatch is a pair of mesh side pockets. These are also great additions for the storage of items, but those that can be kept wet. The downside is that the storage compartments have eaten into the space just in front of your seat thus robbing you some standing platform. 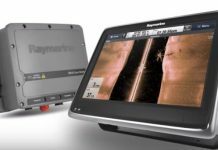 The Tarpon 100 also comes with a console which extends all the way from the bow hatch to the day hatch. 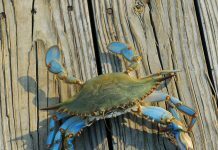 This also limits the kayak of what it can do as it is not conducive to do stand-up fishing or casting. Instead, the kayak features s SlideTrax rail system on either side of the gunwale and some Yak attack screwball mounts as well as a rod holder. 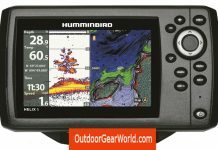 All these, when combined with the molded spaces meant for GPS/fish finder mounting, makes the model to be one of the best for seated fishing. The kayak features an Orbix dry storage hatch system. It also comes with a bow and Tankwell that are mounted amidships for perfect dry storage. In this storage facility, live bait or cooler accompaniments such as beverages can be kept. It comes with a 30.5-inch beam and a 10 feet length. These have made it be very stable but highly maneuverable. 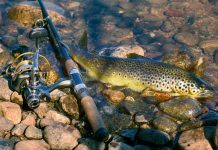 And with its relatively handsome speed, the product ends up being one of the best kayak under 1000, small lake and class 1 & 2 streams and river fishing. 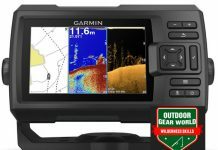 Since there is no place that the angler will spend more time in as compared with the cockpit, it is only fair that a buyer knows what to expect as far as the comfort of this place is concerned. The Tarpon 100’s seat will exceed the expectations of almost any user as it offers great comfort indeed. The seat is the Sit-on-Top Phase AirPro seat system, featuring a contoured cushion together with multiple-size holed foam padding on the backrest. These produce a varied density seat which is important for extra cushioning under the legs as well as along the spine. The design also supports your buttocks boosting its comfort even further. In a nutshell, the seat is very comfortable and by default, the kayak is comfortable too. In addition to the seat, the kayak features adjustable keeper’s foot braces in its construction. These are great additions for comfortably accommodating anglers having varied inseam lengths. The length, width, and accessories featured in the kayak have ensured that the product is very responsive when it comes to f﻿ishin﻿g kayak. Other than the challenge of the limited standing platform, the model is relatively fast enough and allows you storage of gears and even food if at all you wanted to spend a night or two out. All in all, the Tarpon 100 is a performance-oriented kayak for fishing and other pastime activities. Maneuverability: The kayak features a very short length, which makes it highly maneuverable. The relatively narrow width also plays a major role in making the kayak even better when it comes to maneuverability. Where the Tarpon 100 can’t go, no other kayak will go. Quality Design and Construction: It features an overall proper design with superb fitting. The foot braces are adjustable, the cockpit well designed and the seat is very comfortable indeed. 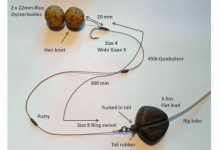 These make it a great design for fishing even for long periods of time. Proper Storage: Features a day hatch together with a bow hatch, both of which are credited for their capacity to offer plenty of dry storage space. The Tankwell, on the other hand, comes handy when carrying live bait or cool beverages are needed. Though its speed is reasonable, the truth is that it is slower than most of its longer brothers. Though I spend my precious time looking for the qualities I need in a product, I would never do the mistake of trusting the manufacturer and buying a specific product simply because a manufacturer has advertised it. I, first of all, listen to what other users have to say about it before taking a step. Tarpon 100 is a great kayak from the time you first see it to the time you start using it and thereafter. It is not only responsive when in the waters but also features a good design, thus a good option for the ladies as well as men who hold elegance dearly. It has been designed with features that make it easy to transport to and from the waters. Other features make it user-friendly in accessing all the realistic spots in the rivers and small lakes as well as dams. Overall, you get real value for your money if you invest in this product. Upon taking the Wilderness System﻿﻿s into consideration, the reputation Tarpon has in producing high-quality kayaks is in itself enough reason for you to consider going for the Tarpon 100 series. 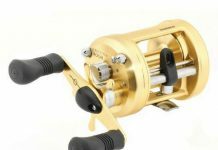 But when such a reputation is just an addition to the quality features and extreme specifications, then it becomes a must have for any angler who spends the better part of his days in the waters fishing. 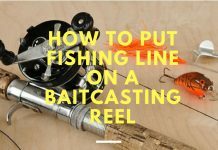 If you can compromise length and you are an angler who doesn’t mind casting while seated, then this is your jackpot. Sea Eagle is a powerhouse in the production of best kayak under 400 and the Sea Eagle 370 is one such product. Its design and construction make it best for flat water kayaking in rivers and oceans. It is a great product for family use during day trips and camping and can be also great for dog’s day out. It is an all-purpose sports kayak designed for use by one or two people but can always accommodate an extra third person. The reputation it has within the USA, speaks for the kayak. The model is large enough to carry a young family out for not only a fishing expedition but also camping as well as a picnic. With a self-bailing drain valve, the kayak can quickly get rid of excess water whenever need be. 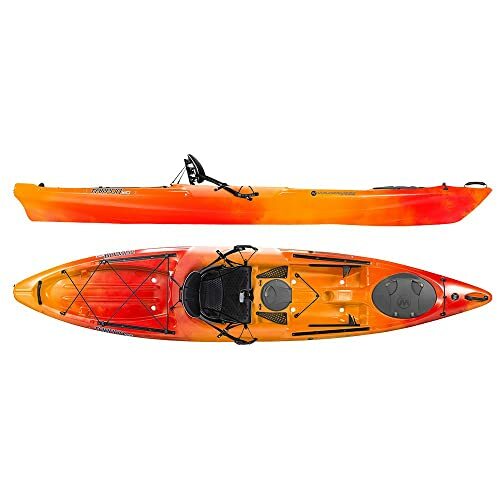 It is a versatile entry-level kayak that can be used in all the calm waters, regardless of the location, as well as in slightly rocky waters. 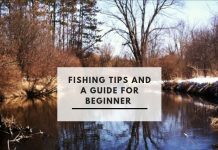 And because of its low price, it is truly one of the best options for beginners. The kayak is wide enough to offer enough stability and is sturdy enough, with a material that is extremely hard to puncture. In fact, unlike the other inflatable kayaks, which can get punctured without you having an explanation, you can really tell the exact obstacle and location where you’re Eagle 370 will puncture. This is because not just any obstacle can puncture it. Only the formidable obstacles can do. 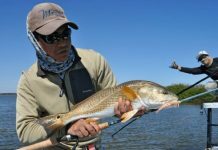 In short, they are tough and among the best kayak for fishing found within the inflatable options. It is an extremely lightweight kayak, a feature that makes it a breeze to be brought anywhere at any time. An average person can carry it with a lot of ease, thanks to the fact that it nicely rolls into a small package. Due to such an attribute, many people keep this kayak in ships and larger boats thereby using it to move from ship to ship. Though an entry-level kayak, it is a great product that does not only deliver great performance on that weekend out event but also guarantees durability. It is responsive and maneuvers so well not forgetting that it is very easy to paddle. Though not fantastic, the tracking is very decent. If you have been in the kayak game for some time now, you will probably realize that this kayak delivers more than its price. It is not a high-end kayak but is a great option for recreational fun, paddling adventures and above all, fishing expeditions. Versatility: An extra thick PolyKrylar hull, which is known for durability has been used for its construction. It is this material that can be credited for making it possible for the kayak to be able to carry out a wide range of activities. The kayak moves effortlessly on open water thus an excellent fishing accessory. Its large space and weight capacity allow it to be used for family camps and picnics etc. In a nutshell, you can use it almost anywhere and for almost anything that a kayak can do. It comes with no thigh braces or footrests. This limits your ability to generate higher paddle strengths and in turn, negatively impacts the speed. The price is yet another drawback as even though it is worth every penny, it’s still more expensive as compared to other inflatable kayaks. If at all you have been looking for a high-quality inflatable kayak, you need to go no further as the SE370 outclasses and outperforms the competition with better build quality, extreme customizability potential, and multipurpose design. All in all, it is a kayak to beat. White water river kayaking can be so interesting, especially if you get the best kayak for fishing for the same. Imagine that scenario when you are blasting through the white water river while spray flying all over. This is what the 330 model offers. In other words, the model is a very versatile and performance oriented boat. It doesn’t push but rather slices through the waters with smooth paddling strokes and is versatile to do almost anything. 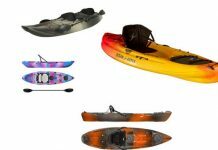 Other than the functions, the product is the lightest of all the popular fishing kayaks on the market. 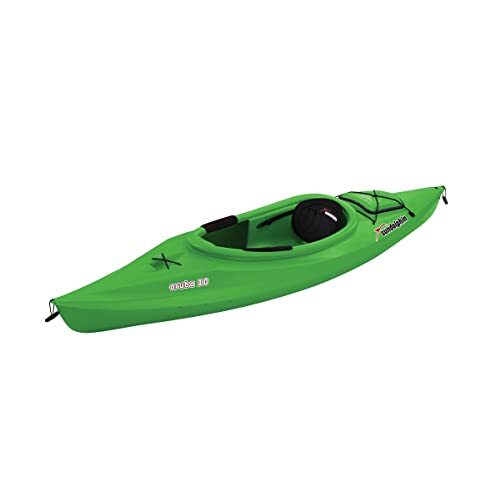 The product is an all-around versatile kayak. It offers a cool breeze to paddle around lakes and ponds, as long as they are flat. 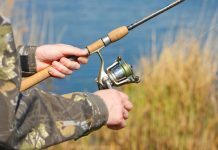 It is also a great recreational floater watercraft that can be regularly used for weekend outings in addition to the fishing capabilities it has. All in all, the quality, performance, pricing and durability features are all impressive indeed. Durability: This is a soft-sided inflatable boat. In other words, it isn’t inflated to lower pressures as compared to its high-end counterparts. Such low pressures imply that the product is prone to different damage types from those of the high-pressure kayaks. Whereas the high-pressure brothers are prone to punctures as a result of hard impacts with stationary objects e.g. logs and rocks, the soft sided kayak is prone to puncture of dragged across a sharp surface along the shoreline or parking lots. If you thus lift the boat to the waters and avoid dragging across rocks, 90% of potential puncture risks are eliminated. Portability: With a 25-pound weight, there is probably no other quality best inflatable kayak that’s capable of competing with this Sea Eagle product in terms of weight. It can be lifted even by your ten-year-old son. And the fact that a small case can be used for packing, you don’t need to own a track for you to own this kayak. 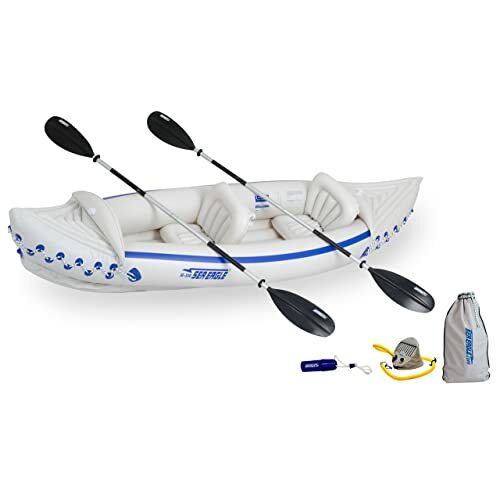 Affordable: At an average price tag rating at less than $350 and accompanied with everything needed for an best inflatable kayak to get running, the product is very affordable and can be termed as one of the best fishing kayak under 500 for the budget buyer. The more expensive inflatable kayaks are faster. White water river kayaking can be so interesting, especially if you get the best fishing kayak for the same. Imagine that scenario when you are blasting through the white water river while spray flying all over. This is what the 330 model offers. In other words, the model is a very versatile and performance oriented boat. It doesn’t push but rather slices through the waters with smooth paddling strokes and is versatile to do almost anything. Other than the functions, the product is the lightest of all the popular fishing kayaks on the market. The price of this kayak might make you wonder whether you should grab it or go for the more expensive products. The truth is that the Sea Eagle 330 has almost the same performance, if not better than its high-end inflatable kayaks with the main difference being the construction fabric. It may also not have as much maneuverability as its expensive counterparts. But as far as fishing is concerned, the product is the best inflatable fishing kayak on the market. The 120 kayak series of the Wilderness Systems Tarpon is one of the most versatile kayaks ever to be released into the market. 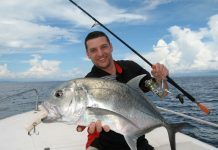 It can be used for virtually anything, ranging from surfing in the bays all the way to fishing kayak in the calm lakes. Of all the Tarpon products, there is no other that is as popular as the 120 series. This is because though other kayak gonflable are great, the Tarpon 120 is a standout among them all. And what exactly makes it a stand out? The kayak is a 12’3 inch long product that weighs just about 70 pounds, which is very manageable and easy to transport. At its front is a neatly well fitted little rubber piece constructed to allow the kayaker to slide their kayak paddles underneath when not in use. 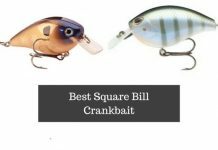 This allows you more space as you will have this “nuisance” out of the way when you don’t need it at least for that period of time when you are fishing. When you need it, retrieval is pretty easy. It comes with scupper holes that are mainly incorporated in the design to help in emptying water that’s mainly allowed in the kayak by the leaking front hatch. The foot piece is great and works pretty well as they can easily be pushed thus easy sliding. A bungee cord is located at the kayak’s center. 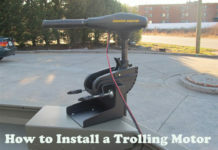 This can be used for strapping any boxes such as the small bait boxes to keep them from rolling up. The Tarpon 120 features some two little rubber molded accessories that are well spaced. And at the back is plenty of storage space for enhanced overnight kayaking trips or kayak camping. It is at the same back of the kayak that you find a handle that necessitates for easy carrying. There is also a big Tankwell, gear storage as well as a spot for beverage storage. Comfort is a must if at all you want to stay in the waters for long. The kayak features some very comfortable seats that accommodate even the slightly big guys. Upon looking at it, you may think that it won’t serve you well as a big guy. Spend the entire day on it and you will discover just how much a jewel it is to you. To adjust, cords can be used with a lot of ease. However, leaving it in its down position does you pretty well. To further facilitate for your comfort, the Keepers Foot Brace feature keeps the angle steadily in the best paddling position. This is one of the most versatile kayaks, not only when it comes to what it can do but also what it can carry. It can be used in calm waters, in fast moving waters, in plain waterways as well as in places with rocky obstacles along the path among others. The Tarpon 120 has been one of the best fishing kayaks for kayak rental services because of such versatility features. Responsiveness: This product tracks so well and is very easy to turn and maneuver around any obstacles such as shoals and rocks. Not many kayaks of its size can turn as quickly as it does. Elegance and Choice: The availability of the kayak in a number of colors for users to choose from increases the chances that you will land on something that is not only good in performance but also in elegance. Comfort: It is not only the seat that has been designed for comfort but other features as well. The spacious nature of the boat itself, and its provisions to put all the things you don’t need away makes it even more interesting to go into the waters in this boat. Price: Though it goes for just around $1,000, you can’t compare what it can do with just $1,000. Similarly, some of the more expensive brothers of it can’t compete with it when it comes to what it can deliver. No wonder it scores as the best fishing kayak in many reviews. Some users have complained about the kayak’s leaking front hatch, though this isn’t a concern to many. When you just think that you are about to sink, the scupper holes come in handy to empty the water. 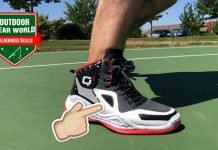 The product gets credits for its great performances to not only the pros but the beginners as well. You really feel at home when you hear that a newbie, who is water hesitant, finds herself home when she goes out to try kayaking. Your first question would be, "what kayak did they use?" Similarly, you get the confidence of using the same product if the pros in the field are giving it thumbs high for bringing a revolution within the kayaking industry. In other words, all the different classes of people at different stages of experience all applaud not only the construction but also the comfort, responsiveness, and performance if the Tarpon 120 Kayak. It is, therefore, an investment worth venturing in, whether individually or corporately, for personal use of for renting. If everyone says it is good, it definitely will be great for you as well. In a nutshell, the Wilderness Tarpon 120 kayak system is an awesome fishing accessory that helps you get fish out in style. due to not only our experience, but also through the experience of many others, as can be seen on the many positive reviews, we would highly recommend the kayak for any type of fishing kayaking activities. It is not just one of the best fishing kayaks but can be described as a stand out model in the pack. The Aruba 10 kayak has been designed as a small and rigid bodied recreational boat that has extreme tracking capabilities. As long as you are in a lazy river, the kayak will produce some of the best paddling, tracking and overall performances for almost anyone. 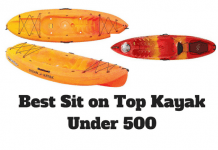 This is a popular hard shell kayak that measures 10 feet in length and is a sit-in type. 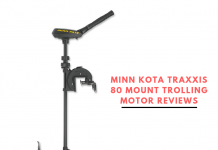 It weighs just 40 pounds thus has been loved by women among other classes of people who don’t like the hassles of loading heavy loads. And its price range, which rates between low to medium range makes it a great choice for the beginners. The model comes with towing handles on the stern as well as in the bow. Compounded with its lightweight, one average person can comfortably handle the loading, launching and unloading of the kayak without much effort. The construction is a brilliant design, with high-density polyethylene material for durability. 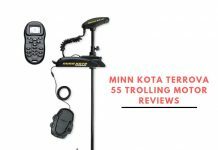 This has been used to make a product that is easy to track and maneuverable, two rare combinations found in the small-sized lightweight kayaks. 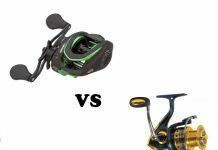 It comes with a 250-pound weight capacity, which is handsome enough to allow the user space to load as much reasonable fishing gear as may be needed per fishing expedition. Gear carriage has been optimized by the side well covered dry storage compartments. Boarding and unloading is a breeze, thanks to the large open cockpit space. In the shipped package is a paddle leash for maximum performance in the waters. It features a water bottle storage compartment that can easily be accessed even when seated in the cockpit and you are paddling. There are four safety colors available for you to choose from. These are ocean blue, Lime green, neon orange as well as the bright pink. You are almost certain that out of these four colors, you will either get your preference or a manageable compromise. 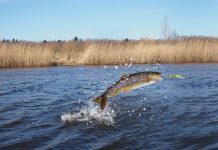 All in all, the kayak pesca product features a design that has been constructed to last for several years if it is to be subjected to normal use. Easy Transportation: At just 40 pounds, it is one of the lightest among the best fishing kayaks. This makes it easy to transport as it can be loaded and unloaded to/from tracks even by women. In the Aruba 10 is a kayak that can easily be taken down to the waters and back to the truck. Comfort: This is a very important attribute to consider. 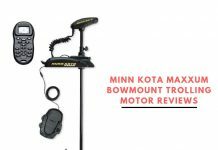 The kayak comes with three comfort maximization features namely: the high back support capabilities, the adjustable foot brace system and the inbuilt spray deflecting collar that keeps the angler much dryer. 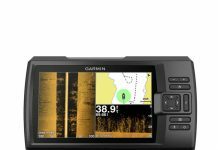 Stability & Tracking: These are two vital features in any watercraft. The Aruba 10 kayak comes with a narrow bow & stern that is essential for keeping it on track. Unlike many blunt designs that push the water, this one slices through. 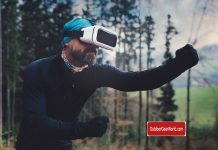 At 30 inches wide that’s compounded with its flat bottom, the product remains stable while the 40-pound lightweight feature adds it’s tracking ability. Due to lack of seat padding, the kayak isn’t the best for extended yakking. Just a basic boat hence can only handle flat waters and can’t do well in waves higher than a foot. 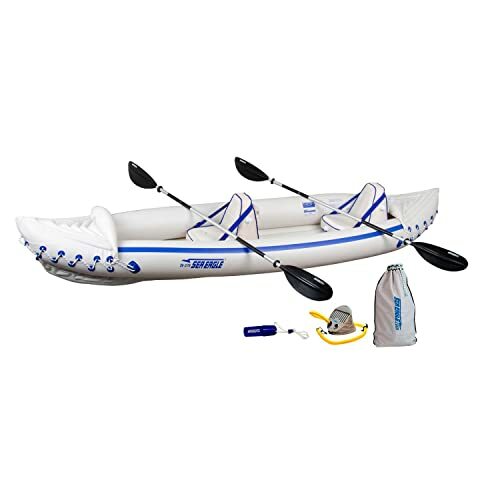 A yakking novice posted a review about this product stating that the kayak was the best for her small size, thus a perfect choice she had made. Being able to load the kayak onto the top of her small trucks followed by easy unloading made her even happier. To sum it up all, the Aruba feels so stable and solid to her, something that has boosted her confidence and reduced her fears of tipping over into the waters. 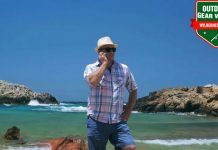 Someone else contended with the Aruba 10 by stating that it is a perfect choice for the lakes, rivers, streams and even ponds. Though he gives it a five-star rating, he advises that the kayak won’t be the best for whitewater trips. 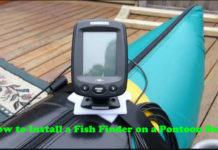 The user indicates that he uses his kayak for fishing and gives it thumb high for the dry fishing gear storage compartments and the easy and cheap customizability of the boat. ​Only a handful of reviewers were critical about the kayak. 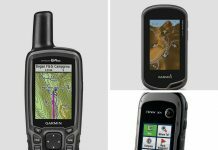 Some indicate that the Aruba 10 isn’t that suited for rocky and rough creek bottoms among other sites. With too much bottom abuse, there is a potential of the boat cracking. 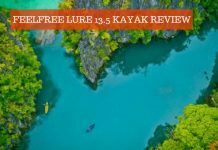 ​Overall, most users agree that the kayak is not just a good fishing accessory but a great recreational yak for use in mellow rivers, calm streams as well as cruising in calm rivers. The easy-to-transport and lightweight feature appeals so much to the weekend kayakers. It is not surprising that frequently, the kayak outriggers makes an appearance on the Bestsellers or Top Rated lists on Amazon among other top listings. 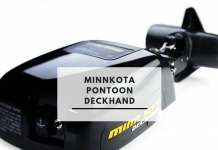 In additional to personal technical evaluation of the boat, customers have been able to prove that the speed, maneuverability, quality, price and durability of the product are all great and reasonable. In a nutshell, it is one of the very best fishing kayaks on the market. 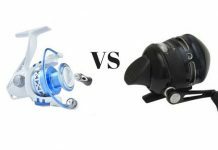 Choosing the best fishing kayak isn’t a tall order if you know what you are looking for. The most important thing is for you to know the features of what you want, what you want it for and who you can buy it from. Also remember to verify with user reviews if the product you have chosen works as advertized. With these in mind, you are set to hit the road.